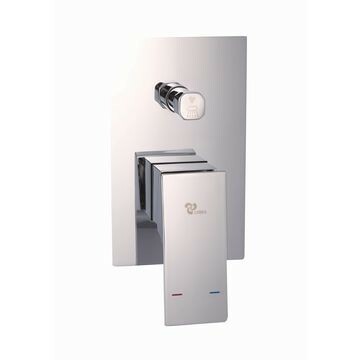 Dura bath/shower underwall diverter mixer, single lever, chrome. Includes: 2 x 1/2" female iron inlets, 1 x 1/2" female iron shower outlet and 1 x 1/2" female iron bath outlet. 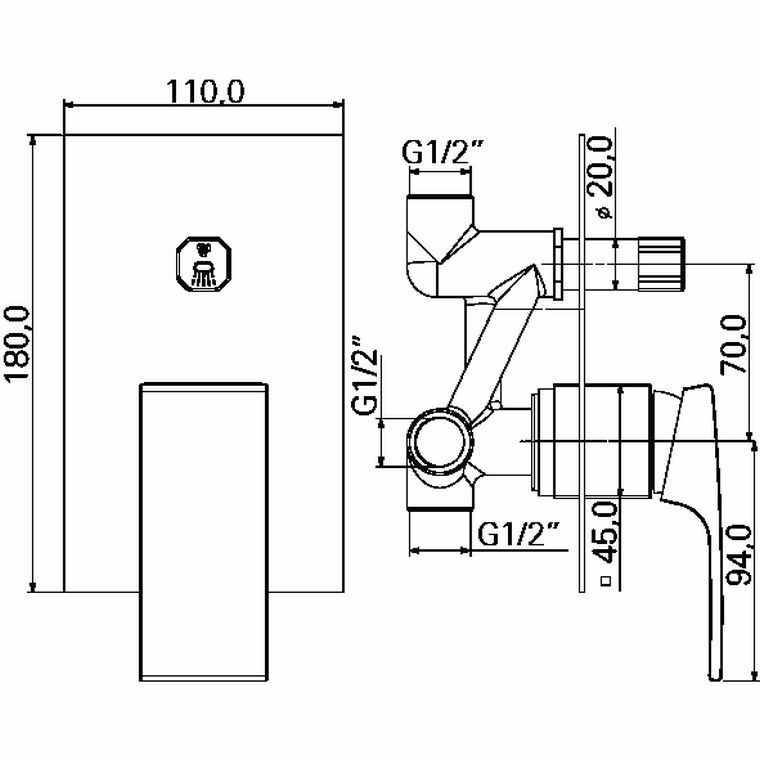 Sliding wall flange, and temperature and flow control cartridge.